EAN CODE: 8056324991137 COLOR: Brick in the colo, with notes of summer truffle slice. 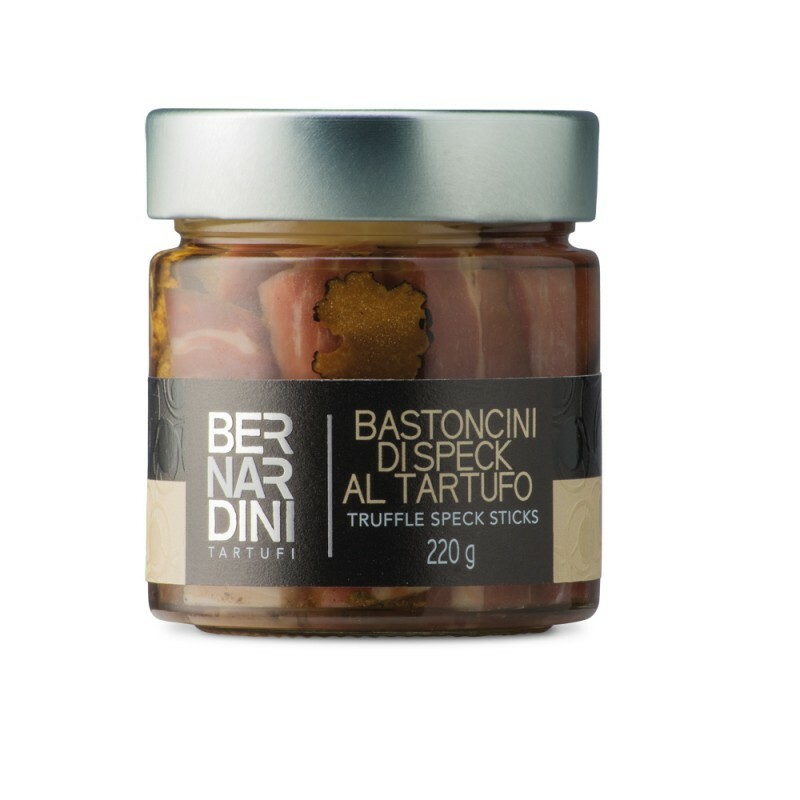 INGREDIENTS: Speck( pork, salt, spieces, aromatic plants, natural smoking, preservatives: E250, anti-oxidant: E301 ), sunflower oil, dry summer truffle ( Tuber aestivum Vitt. ) 0.5% ( corresponding to the 2% of fresh truffle ), flavour. PRESERVATION: 9 Months room temperature. Store at room tempe- rature far from direct light and heat sources. Once opened keep in the fridge at temperature 0/+4 C° and use within few days.